Starting this post with a question, i would love to ask, what fact do you know about cucumber? For most people, the cucumber is just a normal vegetable (although it is technically a fruit) that is been placed as a combination in salad dishes. But there are various amazing health benefits that is been associated with cucumber. After conducting some research about cucumbers, i acquired knowledge on few things about it that i did not know before, i now felt guilty of downgrading it before now. Cucumber is quite an amazing vegetable with n impressive nutritional profile. In fact, eating a cucumber can serves as a replacement of your daily multivitamin..
Cucumber with botanical name Cucumis sativus, belongs to the same family as lemon and squash. Commercially, cucumber are divided into two groups; slicing and pickling. The slicing group of cucumbers have thick skin and larger than the thin-skinned pickling cucumbers. Cucumbers have been discovered to contain three beneficial lignans (lariciresinol, pinoresinol and secoisolariciresinol), which have been associated with reduced risk of cardiovascular disease as well aas several different types of cancers, which includes; ovarian, prostrate, uterine and breast. Below are some findings i discovered about the health benefits of cucumber. I hope you will like and appreciate it after you are done reading them. Cucumber is a superfood which contains almost all the vitamins needed by the body on a daily basis. Vitamins such as vitamin B, C and K1, potassium, copper and manganese. Eating just one cucumber a day is a sure replacement of a multivitamin. Instead of reaching for a third cup of coffee, take a bite on a cucumber instead. The carbs and vitamin B in cucumber provides energy that will sustain you and last for hours. To prevent you night out to turn into a morning nightmare, try eating some cucumber. Eating a cucumber before taking a nap lessens hangover pain. Cucumber contains a mix of vitamin B, sugar and electrolytes that keeps you hydrated and feeling great after a night out. If you are experiencing a stress-filled day, boil a few slices of cucumber and breathe in the steam. The aroma of cucumber can promote feelings of calmness and relieves anxiety. If you are suffering from bad breath (also known as halitosis), you might consider eating a cucumber instead of reaching for a surgery breath mints. Phytochemicals present in cucumber kills bacteria that causes bad breath and cavities. Eat a slice of cucumber after each cup of coffee or meal in order to have a breath that stays fresh all day long. There are many reason why an individual might be experiencing constipation. Sometimes, it might be as a result of stress, medication or consuming a highly processed diet. Cucumber are rich in fibre which can keep your digestive system functioning at full speed. Cucumber does not only contain lots of water that keeps your body hydrated, it also have detoxifying properties. Eating cucumber daily helps yo prevent toxins from building up inside the body. The blend of nutrients found in cucumber makes it ideal for boosting the immune system and treating common ailments like common cold and flu. Cucumber hve anti-inflammatory properties that fights inflammation of the nose and throat when an individual is suffering from cold. The high level of potassium in cucumber aids in regulating the blood pressure by boosting electrolyte levels and preventing the damaging effects caused by the overconsumption of sodium. Nutrients in cucumber makes it very effective in relieving inflammation both internally and externally. Place fresh cucumber directly on swollen areas to reduce puffiness in a matter of just few minutes. 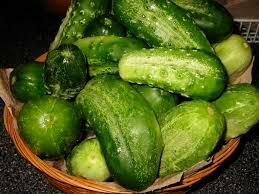 The high water content and potassium possessed by cucumber makes it a mild diuretic that can fights against boaring. Cucumber is rich in calcium, magnesium, and vitamin k1, all these are very essential for bone health. Eat cucumber daily in order to have a healthy bone. Cucumber contains compounds that are known to refresh and rejuvenate the skin from both the inside out and outside in. Make a pulpy mixture of cucumber and a few drops of lemon juice and apply directly on the face for mask that is both refreshing and healthy. Cucumber contains sulphur, silicone, calcium and phosphorus, all necessary for healthy hair growth. Regular eating of cucumber can reduce hair loss and strengthen the hair shafts. The compounds present in cucumber can also make the hair to appear shiny and healthy. These are the few health benefits of cucumber i discovered. Try to add a few of these uses of cucumber to your weekly routine and in just a matter of time you will feel energised, refreshed and stress-free.